KAMPALA – The committee on Commissions Statutory Authorities and State Enterprises(COSASE) has extended summons issued to Justine Bagyenda to Thursday this week or else a warrant of arrest will be effected immediately. The committee had first issued summons to the embattled former executive director in charge of supervision of commercial banks at Bank of Uganda to appear before the same committee on Tuesday morning without fail after she snubbed it last Friday. Ms Bagyenda, a key figure in the closure of banks is needed in the committee which is currently scrutinizing the closure of seven defunct banks of which some, their liquidation reports are nowhere to be seen. Through her lawyers Kirunda Wesige and company Advocates, Ms Bagyenda has informed the committee that she is attending an international trauma summit in the USA that runs from today 27th-30th this month hence asking to be given more ten days that she will be back in the country. However, the news of Bagyenda’s failure to attend to committee meeting were not received well by a number of MPs including Elija Okupa, Francis Mwijukye, Anita Among, Kasibante Moses among others who noted that Ms Bagyenda had all the time to inform the committee about her travels but the committee only got to know when she was already outside the country, “which is contempt of parliament”. The chairperson of the committee Abdu Katuntu hence ruled that Ms Bagyenda a benefit of doubt and extended her summons to Thursday, November 29 or warrant of arrest will be issued. With rumours making rounds that Ms Bagyenda is currently in Rwanda, Mr Katuntu ordered police to ascertain where she is right now and issue a report before the end of business on Tuesday. 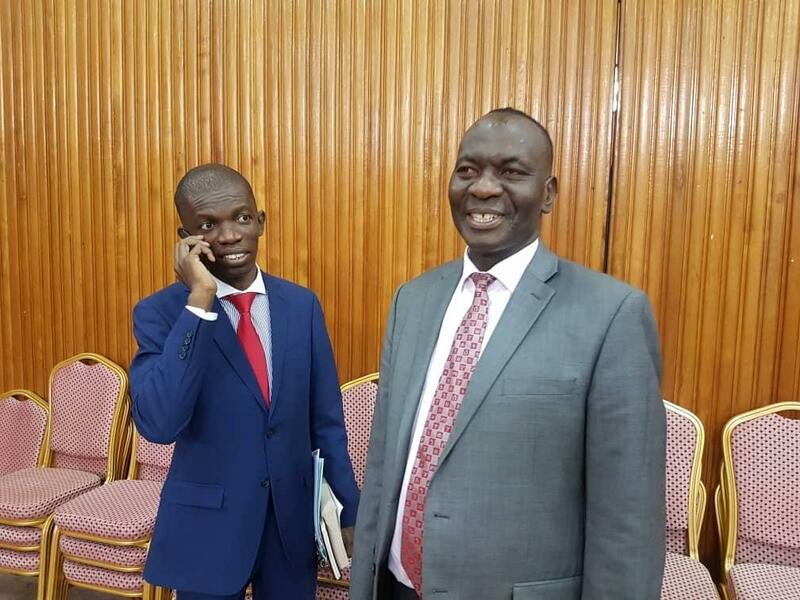 MP James Waluswaka: “I want to understand through her lawyer, did Justine Bagyenda go as a doctor, sick person or as a donor since we have been hearing from rumours that she has all this money,”. The MP added: “I request that we detain Bagyenda’s lawyer Robert Kirunda until she comes back because her departure even when she knows she is needed by this committee is taking us for granted”. Ms Bagyenda and Mr Benedict Ssekabira, the director of Financial Markets Development Coordination, are to answer questions on how the value of assets of three closed commercial banks was reduced from Shs117b to Shs98b after the Central Bank took over the liquidation. Mr Ssekabira, who has been lead liquidator of all the closed banks has been in the spotlight regarding the anomalies. COSASE Chairman Abdu Katuntu last week adjourned proceedings after both Mr Sekabira and Ms Bagyenda failed to present evidence of submission of reports to the Governor Tumusiime Mutebile and appointment letters for Mr Sekabira as demanded by Committee vice Chairperson Anita Among.